The second of three podcasts by Natalie Steed provoked by Clare Whistler’s Residency at the QMUL Centre for the History of the Emotions in 2013-14. 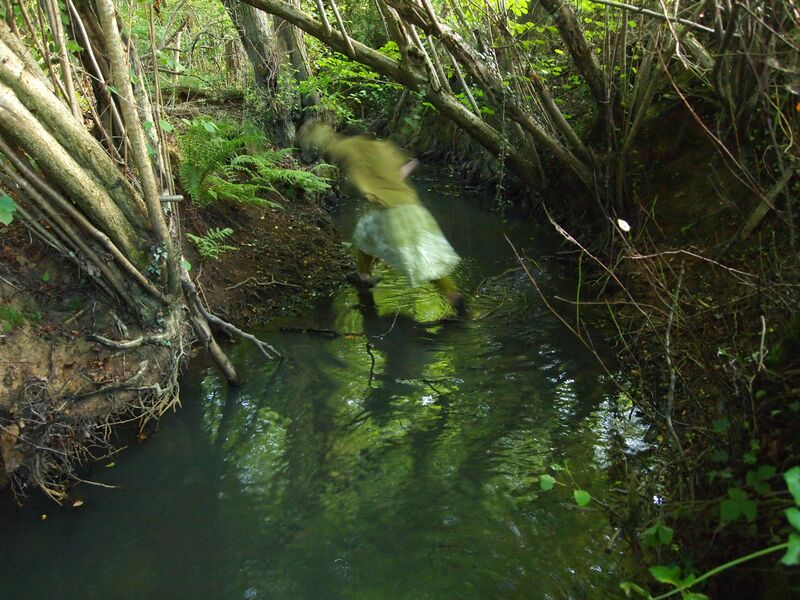 Inspired by the story she heard at a friend’s funeral, Clare Whistler and the artist Charlotte Still have been visiting tributary streams and sources of the Cuckmere River, East Sussex and recording their experiences and encounters in photographs, poems and maps. In March 2014 Clare and Charlotte brought together a large number of people: artists, musicians, dancers, researchers and experts in Hailsham for Waterweek as part of their “Stream” project, including Hetta Howes, a PhD student at QMUL. Over a week they held a series of public events with performances, talks and discussions about water. There were walks, boat making, swimming and dance. In this podcast Clare and Charlotte take me to one of their streams and Hetta Howes explains the associations between women and water in the medieval world, especially in the context of texts written by and for religious women. With music by Katherine Gillham. Read more about Hetta Howes’s research. Read about and listen to all of the related podcasts. Read more about ‘Weather, tears, and waterways’. This entry was posted in Podcasts, Weather, Tears and Waterways and tagged Charlotte Still, Clare Whistler, Cuckmere, Hetta Howes, medieval, menopause, menstruation, stream, water by Natalie Steed. Bookmark the permalink.